The collection of Made on the OL Grid musical instruments is growing. 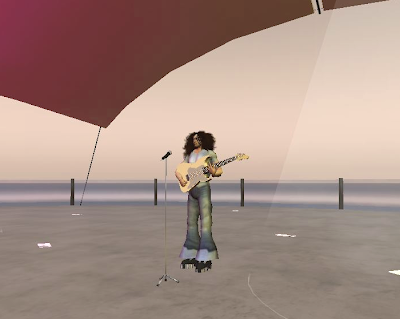 Come and check them out on the main stage at Virtually Live island. 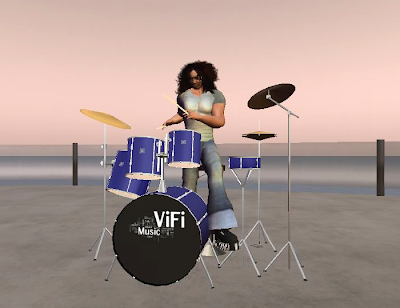 More instruments will follow and, with the added magic of animations and musicians you will soon begin to experience real music in your virtual lives. 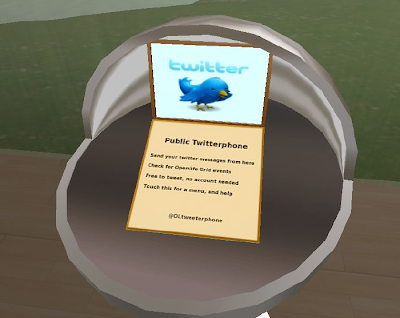 The island now has three public OLTwitterphones. All public twitterphones are free to use. 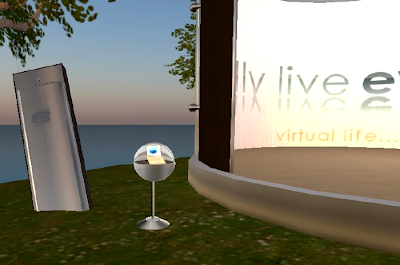 Follow latest news and events from around the grid and from the Virtually Live Events group. 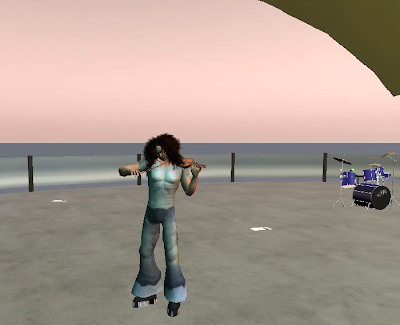 Send twitter messages to other twitter users on the grid and off it, tweet your friends on other twitter-enabled virtual worlds and invite them here.